Are you protecting your company as well as your employees? 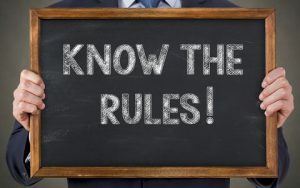 Are you in compliance with the latest labor laws and regulations? Do you have policies in place for employee use of social media? Join us for breakfast at 8:00AM, October 6, and get insights from Mark Kluger, Esquire, on topics including wage and hour exposure, difficult hiring situations, sexual harassment and discrimination, and employees and social media. A founding partner of Kluger Healey, LLC, Mark practices exclusively in the area of labor and employment law on behalf of employers. He is a frequent speaker and writer on sexual harassment and discrimination avoidance, workplace diversity, performance management, union avoidance, and a myriad of other employment-related subjects. Mark’s talk is the first of our “KRS Insights – An Informational Breakfast Series” to be held at our office, 80 Route 4 East, Suite 370, Paramus, NJ.